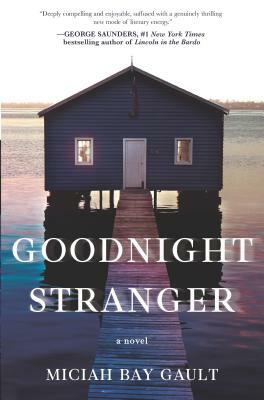 A compulsive debut of literary suspense, Goodnight Stranger follows one young woman held captive by her past and the stranger whose arrival unearths long-buried family secrets.Lydia and Lucas Moore are in their late twenties when a stranger enters their small world on Wolf Island. Lydia, the responsible sister, has cared for her pathologically shy brother, Lucas, ever since their mom's death a decade before. They live together, comfortable yet confined, in their family house by the sea, shadowed by events from their childhood.When Lydia sees the stranger step off the ferry, she feels an immediate connection to him. Lucas is convinced the man, Cole Anthony, is the reincarnation of their baby brother, who died when they were young. Cole knows their mannerisms, their home, the topography of the island--what else could that mean? Though Lydia is doubtful, she can't deny she is drawn to his magnetism, his energy, and his warmth.To discover the truth about Cole, Lydia must finally face her anxiety about leaving the island and summon the strength to challenge Cole's grip on her family's past and her brother. A deliciously alluring read, Goodnight Stranger is a story of choices and regrets, courage and loneliness, and the ways we hold on to those we love.